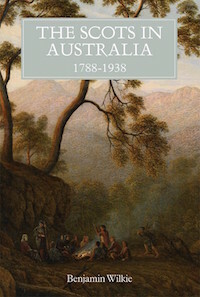 Congratulations to Benjamin Wilkie on the publication of The Scots in Australia, 1788–1938, which illuminates the many experiences of Scots in Australia from the first colonists in the late-eighteenth century until the hopeful arrivals of the interwar years. It looks at reasons for migration, their new lives and roles, and their encounters with – and impact on – Australia and its first peoples. It highlights too the cultural and political diversity within the Scottish diaspora, and investigates what it means to be ‘Scottish’.